The Undiagnosed Disease Network Is The Last Hope For People With Rare Conditions : Shots - Health News When Nikki and Danny Miller's two young sons developed strange symptoms, they began searching for a diagnosis. Their odyssey ended when a team of medical sleuths solved the case. 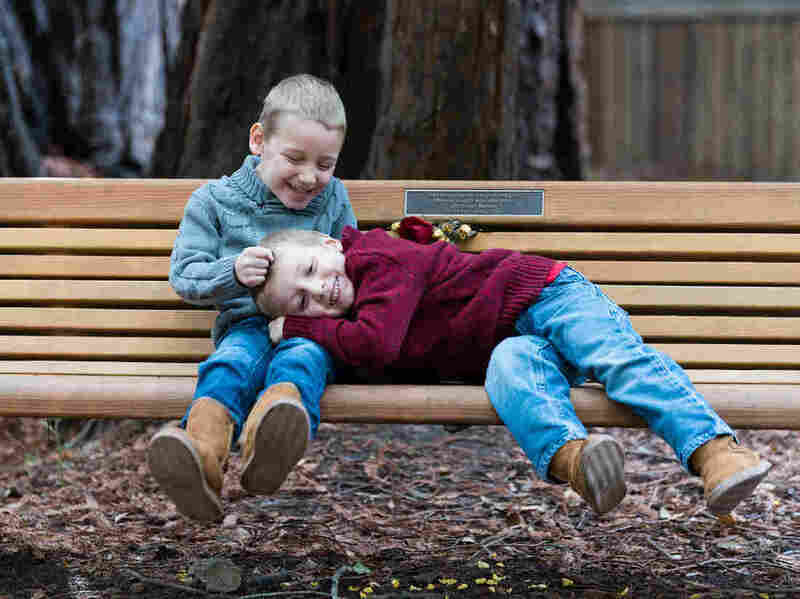 Seven-year-old Carson Miller (left), and his brother, 5-year-old Chase Miller (right), both have a degenerative brain disease called MEPAN syndrome. There are only 13 people in the world who have it. All over the country, specialized teams of doctors are giving hope to families who are desperately searching for a diagnosis. The medical sleuths, scattered across 12 clinics nationwide, form the Undiagnosed Disease Network. Since the program began in 2014, they've identified 31 previously unknown syndromes and they've cracked more than a third of their cases, according to a recent paper in the New England Journal of Medicine. "It was like Sherlock Holmes," says Euan Ashley, a professor of medicine at Stanford University." Patients would come with mystery diseases and we would try to solve them." Although rare diseases are individually very uncommon, collectively they are surprisingly pervasive. In fact, if grouped together into a single category, they afflict between 25 to 30 million Americans. For people coping with mystery conditions, finally getting a diagnosis can be life-saving or life-changing. Take the perplexing case of the two Miller boys from Marin County. Five-year-old Chase and 7-year-old Carson have alert minds and radiant smiles but very uncooperative bodies. The blond, blue-eyed brothers are not able to sit, stand, speak, or feed themselves. They've spent their lives in wheelchairs. Even though they attend a mainstream elementary school and are cognitively functioning on par with their peers, they are both still in diapers. The boys require constant care at home and attentive individual aides in the classroom. 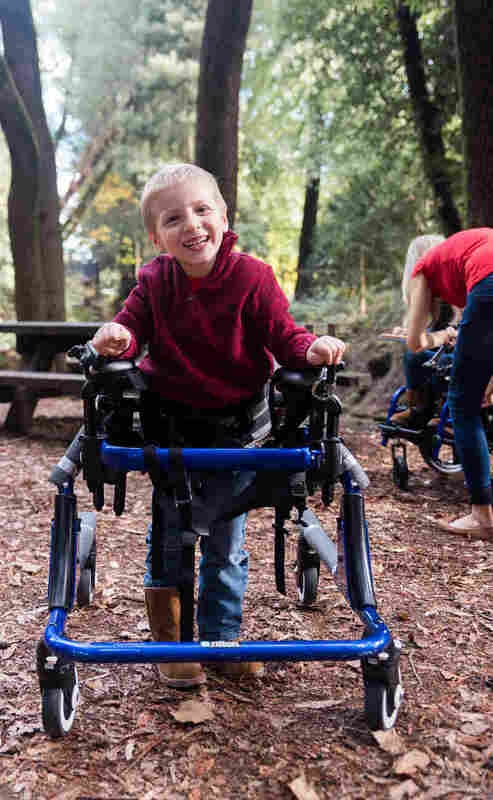 The boys' parents, Nikki and Danny Miller, first noticed a problem seven years ago when their first son wasn't reaching typical milestones like rolling over or crawling. Instead, they witnessed spastic movements and tiny hands repeatedly balling into fists. Babbling never turned into words. When Carson was about a year old, he was misdiagnosed with cerebral palsy. Then when the same developmental delays emerged in the Millers' second-born, the parents started asking more questions, which led to a four-year diagnostic odyssey with countless inconclusive lab tests. One after another, specialists shrugged their shoulders. "It's really tough because as a parent you blame yourself," says Danny. "What did I do wrong? Is there something wrong with my genes?" Finally, two years ago Danny applied to the clinic at the Stanford Center for Undiagnosed Diseases. After reviewing the boys' medical history, researchers ordered full genome sequencing for all four family members. Until recently this type of extensive testing was prohibitively expensive. "We're rapidly moving to the point where it makes more sense to go straight to the genome rather than measuring one gene, then another, then another," says Ashley as he pulls out his laptop to point out the clue within the family's genetics. The screen is divided into several rows and columns with long strings of letters that represent the human DNA code. Ashley points to a section in the MECR gene, which, when disrupted, alters the part of the brain that controls movement. "You can see in the colored section the same gene was hit by two variants, one from mom and one from dad," he says. There is an incorrect letter in the boys' genetic code. "One letter of 6 billion can cause these incredibly devastating diseases," Ashley says. Neither of the boys' two copies of the gene works properly, which is why Carson and Chase have a brain disease called MEPAN syndrome. Only 13 people in the world are currently known to have it, and there is only one published scientific paper on it, says Ashley. 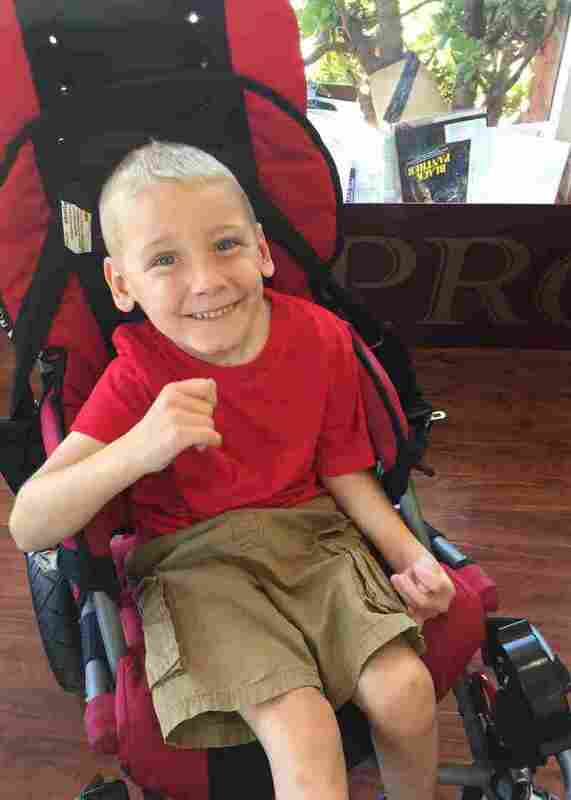 "Currently, there is no treatment for MEPAN, but Danny and Nikki are hoping a heavy cocktail of vitamins and supplements will slow down the disease from progressing and further limiting the boys' ability to move. The parents also take the boys to physical, occupational, and speech therapy to strengthen their muscles and teach them life skills. The boys communicate with computers attached to their wheelchairs. Father Danny Miller's voice cracks as he contemplates the road ahead. "Recently at school Carson built a sentence that said, 'I hate my wheelchair,' " recalls Danny. "Because I know that he wants to be up running around, playing tag, and hide and seek with the other kids. That may not be the way things work out. But I'm going to do everything in my power to try and make sure that does happen."